Westbourne Motors has been established since 1969. We know the difficulties that small & large dealers can face and how complex issues within the trade can be. Our trade support facilities are available 24 hours a day, 7 days a week. Our customers include independent garages and workshops, body shops and franchise dealers. Same high standard of service as demanded by household names such as AA. Green Flag and RAC. Our smart and efficient workforce will work on behalf of your company. For the larger accounts, we offer out of hours call handling which can be personalised with your company name. 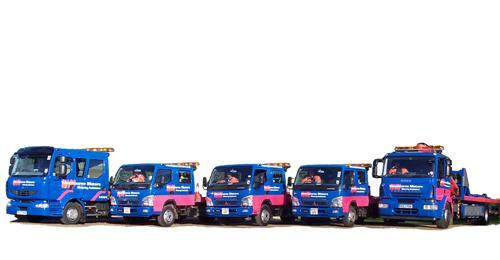 The largest rescue recovery fleet in Southern England available to serve you and your customers day and night. Nationwide car collection and delivery service to any UK destination. Covered transport available for expensive and prestige vehicles. Favourable rates to all trade customers.